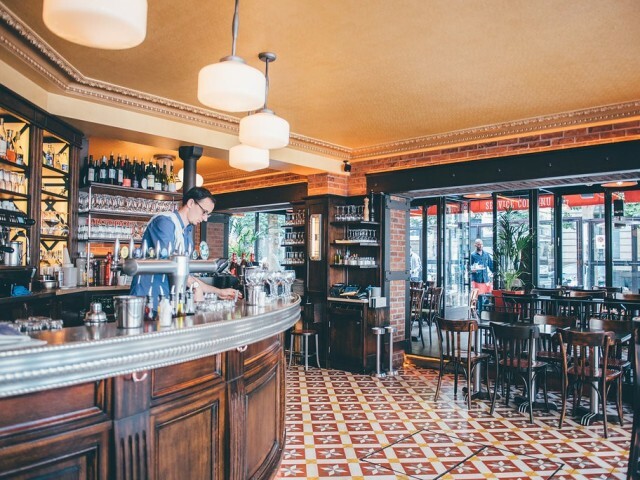 The property was completely renovated in 2014 offers traditional cuisine served in a quality deco "Parisian bistro", combining a friendly and relaxed atmosphere. Our wine and champagne offers beautiful references, the cocktail menu is on his side as rich original. Le Bistrot du Coin is located in the heart of Levallois-Perret in the Hauts-de-Seine, easy access by car, bus or subway, close to shops and City Hall. Ideally located in the corner of streets overlooking a small garden, the beautiful restaurant terrace is a strategic location regardless of time or season. People come here to see and be seen. In conclusion, the Bistrot du Coin, we find it early in the morning for breakfast, all day for lunch, for a drink with its Happy Hour and finally the evening until very late!